Find A Grave Memorial# 34713674. Bat.E, Reg. L, Artillery, N.Y.
Find A Grave Memorial# 95291048. "Elizabeth Ann Powers, a resident of Oil Creek township all her life and a woman well known and respected in the community, died yesterday at the home of her son, David Powers, Church Run street. The cause of death was old age. The deceased was born in Oil Creek township, April 14, 1834, and early in life was united in marriage to Edmond L Powers, who died at Hydetown, Nov 28, 1914. After his death his widow came to this city to live with her son. Mrs Powers is survived by two children, David Powers of this city, and Mrs P L Vrooman (sic) [Vroman] of Oil Creek township. She is also survived by ten grandchildren and three great grandchildren. The funeral services will be held at the home of David Powers, Tuesday afternoon at 2 o'clock, with the interment in Greenwood cemetery." Find A Grave Memorial# 132990483. Source Citation: Year: 1900; Census Place: Oil Creek, Crawford, Pennsylvania; Roll: 1399; Page: 11A; Enumeration District: 0022; FHL microfilm: 1241399. Source Citation: Year: 1900; Census Place: Ashland, Clarion, Pennsylvania; Roll: 1394; Page: 5B; Enumeration District: 0001; FHL microfilm: 1241394. Find A Grave Memorial# 34713686. Paulina Beach was also known as Falina Prosser.2 She was born circa 1798 at Dutchess, New York, USA.2 She was born circa 1800 at New York, USA.1 She married Lyman Prosser. Lyman Prosser married Paulina Beach. Lucinda Brownig married Harmon Giddings. [S9] Ancestry.com, 1860 United States Federal Census (n.p. : Online publication - Provo, UT, USA: Ancestry.com Operations, Inc., 2009. Images reproduced by FamilySearch.Original data - 1860 U.S. census, population schedule. NARA microfilm publication M653, 1,438 rolls. 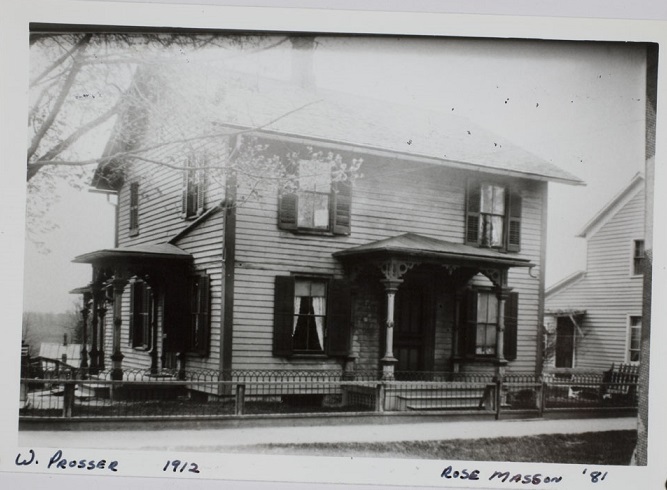 Washington, D.C.: National Archives and Records, unknown publish date), Year: 1860; Census Place: Lafayette, Onondaga, New York; Roll: ; Page: 49; Image: 50. [S6] Ancestry.com, 1850 United States Federal Census (n.p. : Online publication - Provo, UT, USA: Ancestry.com Operations, Inc., 2009. Images reproduced by FamilySearch.Original data - Seventh Census of the United States, 1850; (National Archives Microfilm Publication M432, 1009 rolls); Records of the Bureau of the, unknown publish date), Year: 1850; Census Place: Mentz, Cayuga, New York; Roll: M432_481; Page: 140A; Image: . Birth date: abt 1835 Birth place: New York Residence date: 1850 Residence place: Mentz, Cayuga, New York. Rachael and Mathew Prosser are included in household for Nathaniel Post. Age is correct but actual marriage record or positive confirmation that Rachael Prosser is Rachael Post has not yet been found. Pheobe Gray married Alfred Prosser, son of Lyman Prosser and Paulina Beach. Benjamin Rodgers married Betsey Gurney. 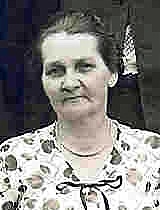 Betsey Gurney married Benjamin Rodgers. [S65] 1920 United States Federal Census, online , Year: 1920; Census Place: Tyre, Seneca, New York; Roll: T625_1266; Page: 2B; Enumeration District: 124; Image: . Notes: Sep 1942: Name listed as AMANDA CHADWICK KELLEYMOREHOUSE. Chaddie Prosser Werter Prosser Ida Perry. [S61] 1930 United States Federal Census, online , Year: 1930; Census Place: Lyons, Wayne, New York; Roll: ; Page: ; Enumeration District: ; Image: . [S26] 1900 United States Federal Census, online , Year: 1900; Census Place: Montezuma, Cayuga, New York; Roll: T623_1013; Page: 4A; Enumeration District: 34. [S1118] Candace Shugar, "Candace Shugar," e-mail message from (unknown address) to Kathleen Decker, 31 Aug 2015, Arvilla Prosser Cooney, not "Arnilla". She was called Arlie. Notes: 02 Nov 1983: Name listed as ARLIE PROSSER COONEY. [S85] Montezuma Birth Records, online <http://web.archive.org/web/20001110085900/http://…>, Cooney, (m) April 17,1900 Montezuma Arlie Pr____(26) Montezuma Jacob Cooney? (37) Laborer Lyons. [S85] Montezuma Birth Records, online <http://web.archive.org/web/20001110085900/http://…>, Cooney, (m) Aug 11, 1910 5-6 Montezuma Prosser (36) N. Y. Jacob Cooney (47) Laborer N. Y.
Orson Prosser was born on 1 May 1894 at Montezuma, Cayuga, New York, USA.1 He lived in 1900 at Montezuma, Cayuga, New York, USA.1 He died on 20 November 1900 at Montezuma, Cayuga, New York, USA, at age 6. [S61] 1930 United States Federal Census, online , Year: 1930; Census Place: Tyre, Seneca, New York; Roll: ; Page: ; Enumeration District: ; Image: . [S69] 1940 United States Federal Census, online , Year: 1940; Census Place: Savannah, Wayne, New York; Roll: T627_2801; Page: 7A; Enumeration District: 59-41.